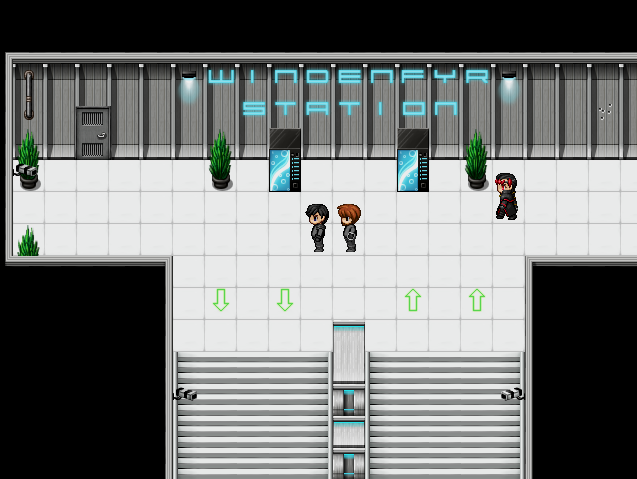 Ixias - Stellar Complex is an old-school RPG set in a futuristic dystopian city. It has been over 60 years since the Great Augmentation Scandal that unleashed a worldwide epidemic of mutations caused by implants meant to enhance human abilities. During these long years, the world has become mostly uninhabitable wasteland where massive cities have risen as the only shelters. 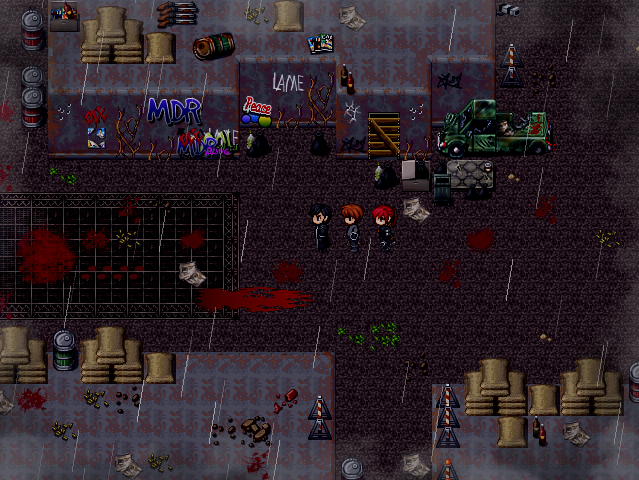 The wasteland is crawling with Turinquas, the mutants, and not even the cities are completely safe. You are Taiki Yukigan, an agent of the Black Tower corporation that specializes in Turinquas related problems, as well as simply trying to keep the Turinquas problem contained. After discovering a grisly murder, that is tied to numerous corporations, as well as the Turinquas, you are thrown into the middle of a worldwide conspiracy. Your mission is to find the murderer, and tear down the veil of secrecy! While the game does NOT contain any R18 content, some of the language and themes in the game are extremely foul and may not be suitable for everyone. If you're very squeamish with things like murder, poverty, sexuality, misogyny, prostitution, drugs, etc, you probably shouldn't play the game. A large game world spanning over four major districts and numerous other locations, all of which are insanely detailed and well thought-out. Hub-based exploration with over 50 side-missions. 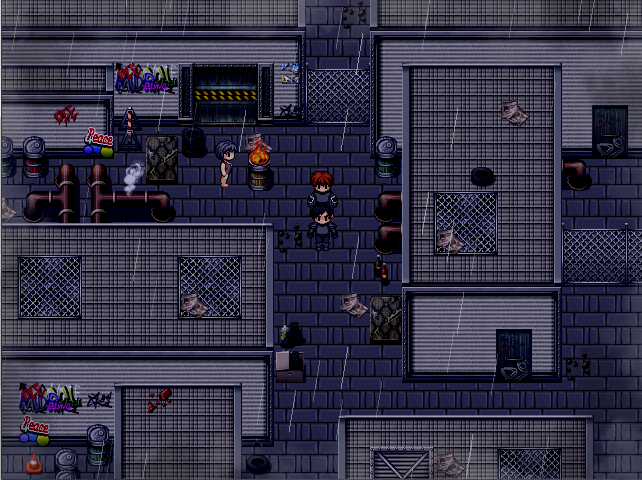 Once the main districts are unlocked via the story, the player can travel between them completely freely. Storyline filled with mystery and intrique, exploring deep subject matters ranging from social structures to the very existence of life. There's enough lore to tackle that you can expect many sequels to come. Storyline, side-missions, endgame and countless secrets. All in one 20+ hours long cyberpunk adventure. Entire soundtrack with over 20 themes, composed solely for this game, to create the unique vibe of a dystopian city. Simple hacking minigame to bypass security doors, laser walls as well as computers and safes. All encounters can be seen on the map beforehand. Thanks to Yanfly's amazing engine, and several other carefully picked scripts, I've been able to make my visions true with minimum amount of compromises. Over 40 achievements and numerous collectibles that actually make a difference. Ixias - Stellar Complex is 100% free to play. The city is a place for dozens of characters, but these are the playable ones and the characters in the middle of the story. 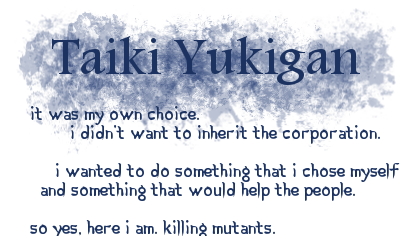 Taiki is the only child of the great Yukigan family, and the sole heir of the YukiCorp, a multi-billion ICR corporation. However, several years ago after his Ixias awakened, he decided to leave YukiCorp and join the Black Tower instead, to be able to help others, instead of sitting behind a desk. Taiki's Ixias damages the fabric between reality and surreality. Diadem of 12 Stars - Deals non-elemental Ixias damage to all enemies and lowers their Kaos and Aegis. Kharoshi is an intelligent young man who comes from the slums of Windenfyr district. As his Ixias awakened years ago, he was taken in by the Black Tower, giving him shelter and training him to become the strong fighter he is today. 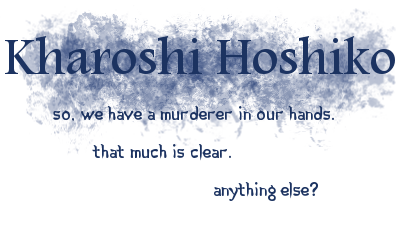 Being realistic and efficient, Kharoshi is able to keep himself calm even in the toughest of situations and he is often relied on when things start to look grim. Kharoshi's Ixias changes the genetic code of his targets, resulting in severe abominations. Culmination - Deals non-elemental Ixias damage to one enemy and stuns them. Tsukimi is a strong individual. She handles herself well in any combat situation and is extremely calculating and efficient, but isn't at her strongest when it comes to situations dealing with emotions. She comes from a troubled family, filled with drug and debt problems. As she has built her own life in Black Tower, she has sworn to do everything in her power to keep people around her from falling down the dark path of drugs and organized crime. 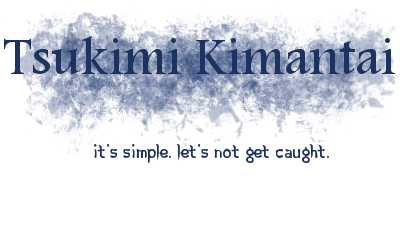 Tsukimi's Ixias allows her to burn her victims with searing flames. Tulimyrsky - Deals Scorch Ix damage to all enemies and drains the damage as HP. 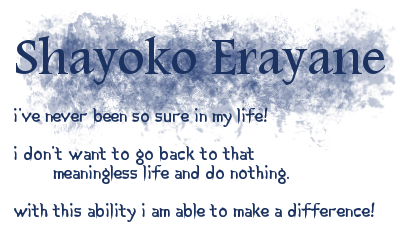 Shayoko is a mysterious young girl from the sheltered Nature Dome district of the city. In this district, rich families and communities can live in a fake utopia, sheltered from the dystopian reality. 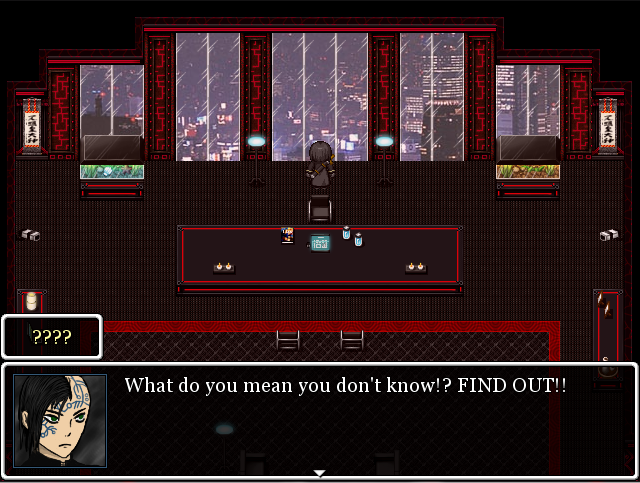 As Shayoko is kidnapped and finds herself in the city, she begins to question her place in life. Should she return to the utopia and continue living a meaningless life, or stay in the dark city, but be able to make a difference with her unique Ixias? Shayoko's Ixias allows her to see past events in places with strong emotional signatures, as well as heal her allies in combat. Heart Strings - Applies HP Regenum and removes Wound to all allies. Searching for a new crystal core in Broken Bridge. He is not a nice person. Wall Market Sewageworks and a little Turinquas incident. What happens in Rubicon, stays in Rubicon. Seretia Implant Manufacturing Plant. The place has seen better days. Sewers under Windenfyr Slums. This is where The Fist is hiding. Windenfyr Metro Station. Access to other parts of the city. Seretia Implant Manufacturing Plant. Research floor. Turinquas. Seretia Incorporated was a rival company of Neuria Incorporated before the Great Augmentation Scandal. As Neuria unleashed the worldwide epidemic of mutations, Seretia was one of the first companies to start repairing the damages, by forming Black Tower, and by starting their own implant research. They released a new implant series several years after the scandal, a more stable implant, that was ready for public use without side effects. Thus began the age where humans would begin to augment themselves to enrich their lives. In present day, Seretia is known for their high quality implants and are a leading company in both manufacturing and research of new implants. Neuria Incorporated was the first company to ever complete a cybernetic implant for public use. However, shortly after the implant was released, a fault was found in the implant but it was already too late as the implant had spread throughout the world. This fault gave wearers of the implant severe mutations, many people dying slowly and painfully, but even more people turned into mutants, Turinquas. Neuria Incorporated found a terrorist amidst the company who had purposefully rigged the implant to cause these abominations. He was trialed and exiled, but Neuria's reputation was stained for decades to come. Now, after 60 years since the Great Augmentation Scandal, Neuria Incorporated stands as a multi-billion implant manufacturer, mostly known for their low-quality, but affordable, implants meant to cater the needs of the lower and middle-class citizens. Black Tower is a military corporation, specialising in Turinquas related problems. Mostly being funded by Seretia Incorporated, Black Tower makes sure to prioritise the assets of Seretia before assisting any other factions, or even civilians. Black Tower is led by Katsuroure Matsushita, a ruthless businessman and a skilled swordmaster. Imperia corporation is what you would call the "police" in the world of Ixias. They patrol the streets and keep them relatively safe, but there's only so much they can do in such a massive city. Neuria Incorporated funds most of Imperia's weapon research, and it is said that Imperia has been manufacturing cybernetic assassins to take care of particularly tricky problems. Deus Ex Machina is a cult of fanatics that have injected themselves so full of cybernetic implants that they have lost grasp with reality and have started to worship the concept of a cybernetic machine as their god. They are relatively peaceful and don't stir any trouble, but they are known for making short work of anyone who crosses their paths. Deus Ex Machina is rumoured to develop their own cybernetic implants that are said to be extremely powerful. Brotherhood is the self-proclaimed "biggest gang in the city". They operate from Wall Market and have ties in almost every district around Grid A, possibly even further. They give a thuggish, brute image of themselves to the outside world to look more intimidating, but in reality they are extremely well organised and handle lots of different kinds of shady businesses, including drugtrade and prostitution. Red Syndicate is an organized group of thugs and hackers. They operate mostly in Wall Market and Rubicon districts and are in a constant territorial war with Brotherhood. Red Syndicate takes particular interest in all things technological. From newest flat screens to the newest weapon crystal cores, Red Syndicate will get their hands on them. They turn a profit by trading the acquired stolen technology, possibly altering some of it for their own use. Cherna Technologies is said to be the first company to ever succesfully manufacture a cybernetic implant, an early prototype of the implants in wide usage today. However, soon after they had made their breakthrough, Neuria Incorporated managed to pull out their own implant series with a much bigger marketing force, destroying Cherna Technologies in the process. Not much is left of Cherna Technologies these days, but it is said that Seretia Incorporated enlisted former Cherna Technologies members over 60 years ago. Ixias has over 20 songs composed exclusively for the game. Here's few of them! 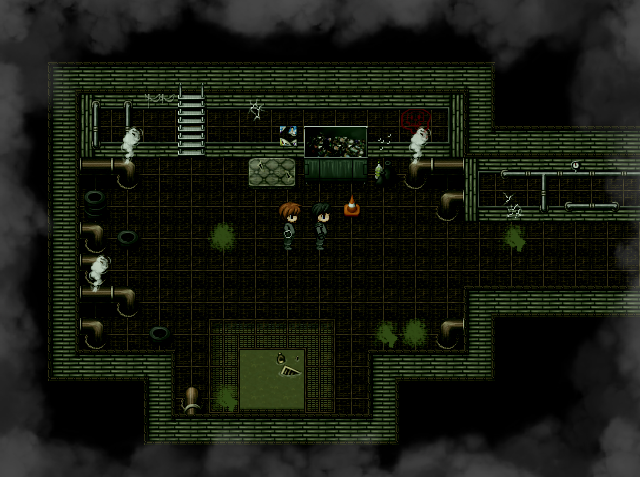 I don't generally like posting unfinished content anywhere, like this game. 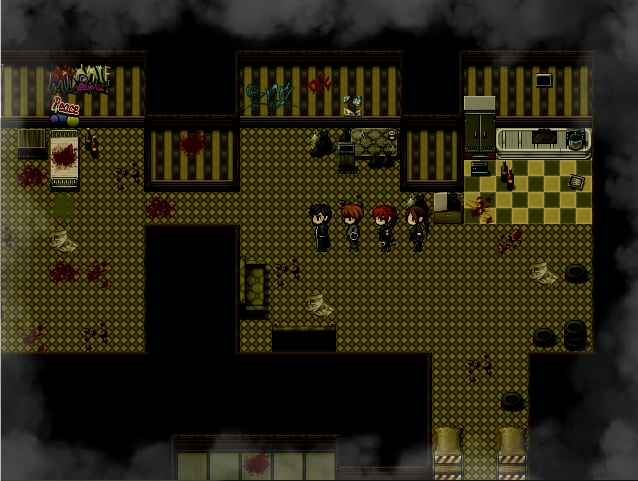 But doing so I was hoping to get some people interested in my game -before- I release it. I could use a few good beta-testers as well. And of course, comments like yours motivate me to get this thing wrapped up! 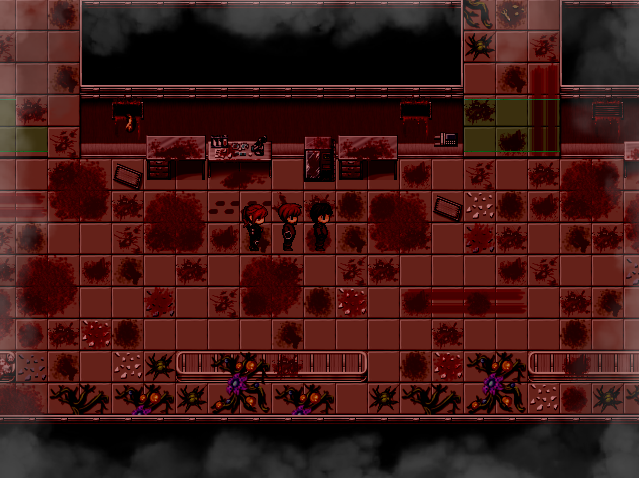 I really never see a lot of blood in a city like this, must be really dark... hehehe~ You certainly have the mood and atmosphere for this project. Thanks! ^^ And yes, the city is a bit on the darker side > But it's not all doom and gloom! Contrast is important, so the game does have much lighter toned areas. Although most of it is of course dystopian. Woah! Im eager for this game! it remind me of persona series (my all-fav RPG)!! And i luv the maps! it really gave gore feelings! Thanks! The original plans from 2013 were actually called "SoNotPersonaRPG" The original plans included dating mechanics similar to Persona, but I had to scrap them ultimately. And due to that and other things Ixias doesn't have all that much in common with Persona But that was a good observation! Thanks ^^ I was really hoping that my setting and lore would differentiate me from the crowd. I love fantasy RPGs and I'm surely going to make one at some point. But like you said, there's just so many of them. So I'm gonna stick with ixias for the time being. Perhaps after this game and a sequel I'll return to my roots. But even then I'm going to go for a more unique approach. Yes, I've spent a lot of time writing the backstory for the world. I have plenty of stuff down that might never be explained to the player. Of course, one of the biggest challenges for me has been the delivering of the lore to the player. Everything is new and different, so it needs to be explained clearly. The storyline is complicated enough so I don't want the player to be completely lost. Btw, I haven't see any battle screenshot. Haven't you make one? Oh wait, are you also the composer? Thanks ^^ No, I haven't taken any battle screenshots. The battle system is rather basic. 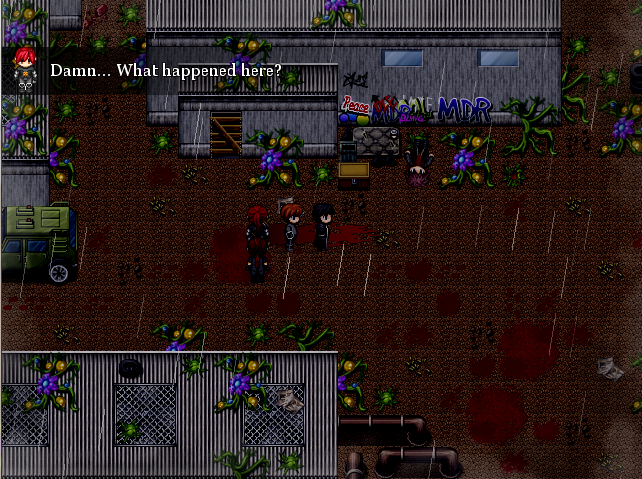 It isn't exactly the same as default rpg maker system, but it isn't super fancy like many other games have. I'm not a scripter so it was way out of my league, and I wasn't comfortable with many of the other battle scripts. I've put a lot of effort to making the combat as enjoyable and tactical as possible, and I think it gets the job done fairly well. It's just that I've put emphasis on the areas of the game that I am good at myself, mapping, writing, overall mood and music. 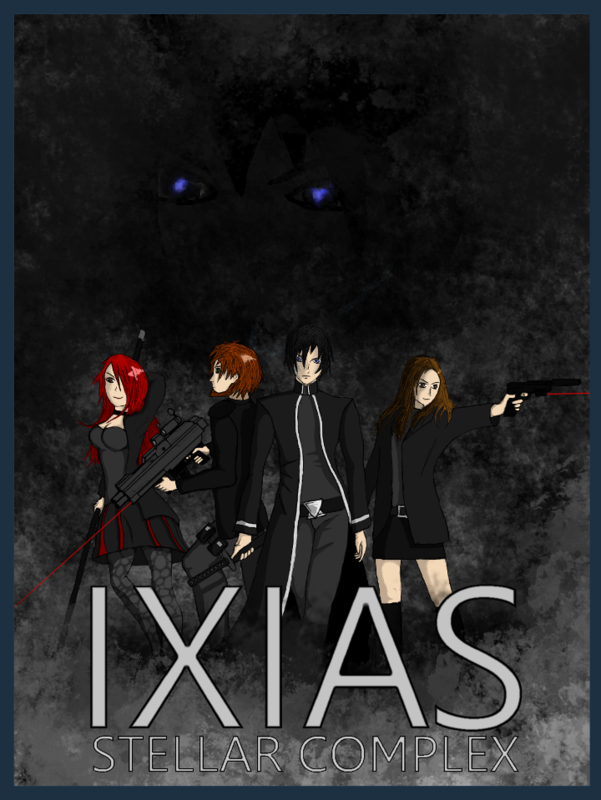 Added a new song to the soundtrack section, as well as added the new promotional picture for Ixias. 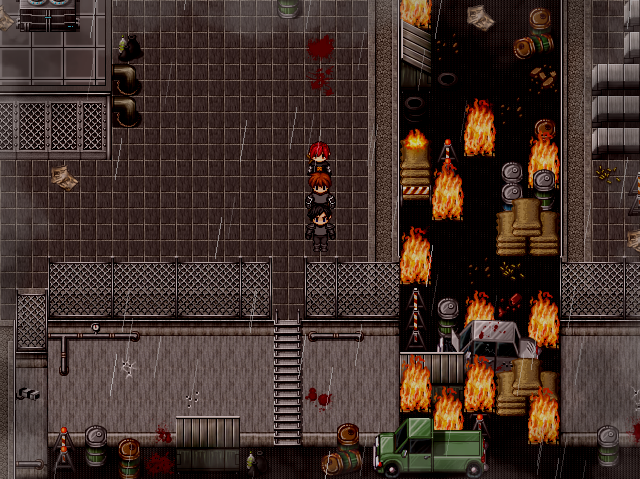 Plans for the early alpha build have been going nicely and it should be released within December. 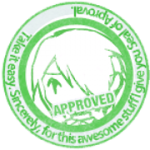 I'm going to need testers so make yourself known if you want to be a proper tester and get credited! I'm impressed, and though I'm taking on a few resource requests at the moment, would be absolutely happy to help alpha test your game over the Holiday break. I have been formally trained in Q/A, and am very much willing to record first-time gameplay, and give you some bug lists, as well as give creative feedback. That sounds awesome! I'd like to get some feedback from you. I am hoping to get the early alpha out during this week. It's doing very nicely so far. This is looking pretty good, i especially like the second screenshot with the city background. I'll be sure to check this out once it is released, great job! Little update on the early alpha. I've been extremely busy during the holidays which kinda surprised me. And when I've had time to work on the game, I just haven't felt like or otherwise been too tired. So of course I didn't get the alpha finished on time. It is however very close to finished so it shouldn't take -that- long. I'll try to get it done during the weekend. Hey Sinathor, been looking to reach you on Steam for a follow up. My work resumes soon, but my evenings remain fairly free. We should talk again. I will start sending download links to the game later today. There are several things I want to check before I pack the final .exe. I will also send feedback forms concentrating on things that I really want to know. I can't believe I've reached this point! Free hugs for everyone! I've been working a trailer for the game over the past week and I will release it next week. So look forward to that! After that we're going full speed ahead for beta and finally, the full release. My pre-task for school was approved and I've been working on getting ready for the entrance exams, so I've had to keep Ixias on the low for a bit, but it's getting there, slowly but surely. Meanwhile, here's some music from an area I've been working on lately. Towers of Heaven. These massive towers in the middle of the city hold some of the most classified research projects inside them and is also the only place in the entire game where you can see sunlight. The song has a slow build up to a pretty memorable little melody, and in my opinion it captures the otherworldness of the area well. Sunlight may be common for us, but it's not common in Ixias. Most people live through their lives never seeing the sun once. This sounds like an amazing game - without even looking at the review. 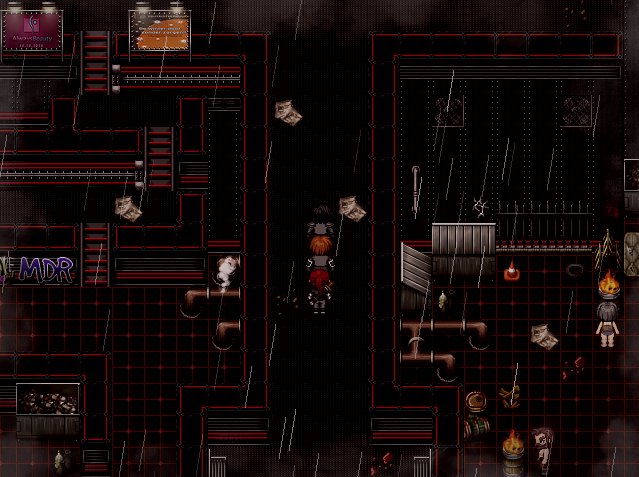 I just wanted to drop by and say that the music is amazing and I wish I could've used some of those tilesets in my game, haha. Also if you're pulling politics into it, color me impressed (mostly because I dunno if I could manage that or not). Keep up the good work! Politics aren't -that- important in the game, in its traditional sense. And although there are more than enough political powers and factions in play behind the scenes, the story itself is not that much about politics. After over half a year of hiatus on this site, I return, and with me I bring a game that has just hit closed beta. IXIAS - STELLAR COMPLEX HAS BEEN FINISHED! After the beta is over, I iron out the last of the bugs and release a 1.0 version for everyone to play.